The California Coast is a destination not to be missed in your lifetime, and while it is beautiful and relaxing for adults, it is magical and fun filled for our children! 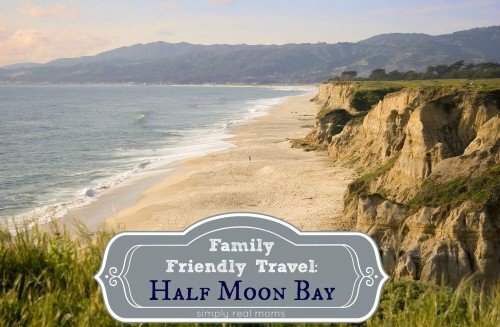 Nestled about 40 minutes south of San Francisco, Half Moon Bay is a must stop for a family friendly getaway! We spent three days there recently with our family, and enjoyed wonderful accommodations, dining and activities that I’m here to tell you all about! 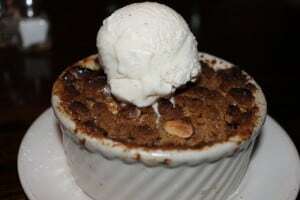 Today’s installment is all about family friendly restaurants that are in the Half Moon Bay area! We visited a few restaurants during our visit, and each had their own charm and reasons why you have to visit! This was by far our favorite spot to dine as a family! From the moment you walk in, you are greeted with a beach feel AND view! Sam’s is located right on the beach, overlooking the Pacific Ocean and there’s not a seat in the house that lacks view. The entire staff was welcoming and helpful, and the manager even gave us some really great tips for some family fun in the area! But what we were really there for is the food. 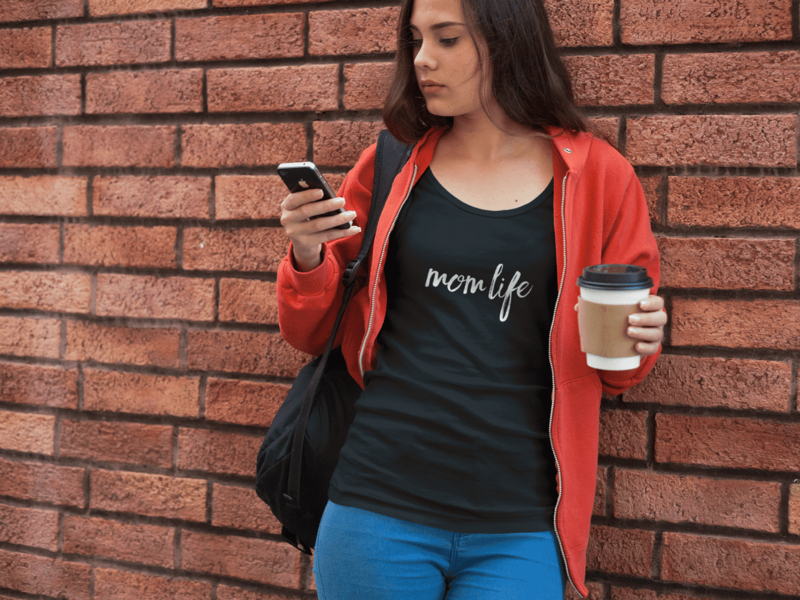 Let’s talk about it! We started off with their Prawn Cocktail. It was delicious, and the prawns were large and perfectly prepared. Their kids menu includes all the staples a children’s menu needs, and even has fish & chips and salmon available for your little seafood lover! My son ordered the hot dog and it was HUGE. You can’t visit a chowder house without ordering a bowl of chowder, now can you? 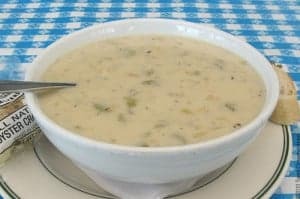 I happen to be a clam chowder fanatic, so I ordered a cup of the New England Clam Chowder and I have to say that it was one of the best clam chowders I’ve ever had. A nice thick & creamy base with a good amount of fresh clams, potatoes and bacon made for a yummy cup of soup! Everyone at the table had some and we all agreed that the chowder is something not to be missed if you travel to Half Moon Bay! 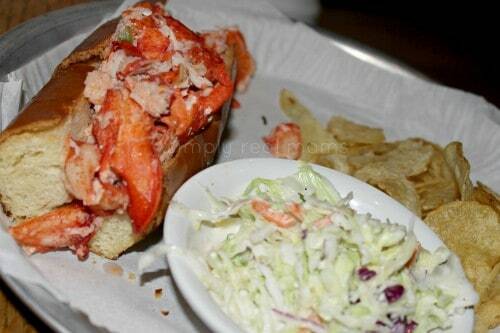 Sam’s Chowder House is famous for it’s lobster rolls as well. Named one of the top 5 sanwiches in America by the Today Show, it absolutely earned it! The sandwich comes loaded with big meaty chunks of buttered lobster on a delicious toasted bun, and for a lobster lover it’s the perfect sandwich and sure to please. Our table also enjoyed the Jumbo Prawns Stuffed with Dungeness Crab and wrapped in Smoked Bacon, the Scottish Salmon, and the Grilled Swordfish, all of which were delicious! 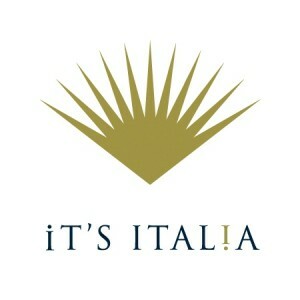 If you’re looking for some amazing pizza, please do NOT miss It’s Italia! Located right on Main Street (and happens to be right next to where we stayed), It’s Italia is perfectly located for a lovely dinner and walk around the fun main street shopping. We started off with the Red Cluster Tomato Caprese and their table focaccia. The Caprese was perfection. I love a good caprese and this made my night to get a plate of delicious fresh tomatoes, basil, and mozzarella drizzled with olive oil and balsamic vinegar. 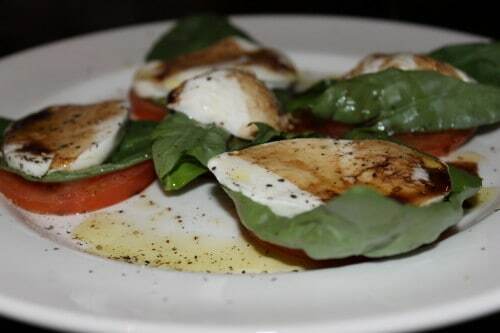 It’s the perfect start to a wonderful Italian dinner! While they don’t have a children’s menu, their pizza menu is extensive and they offer so many choices of toppings, your little ones will be sure to find the pizza of their dreams. We ordered a peperoni with pineapple pizza and I was floored by how absolutely delicious is was! The creamy melted mozzarella was not lacking (I love me some extra cheese, so it was great!) and the brick oven baking method made for a perfectly crispy crust with a soft center. 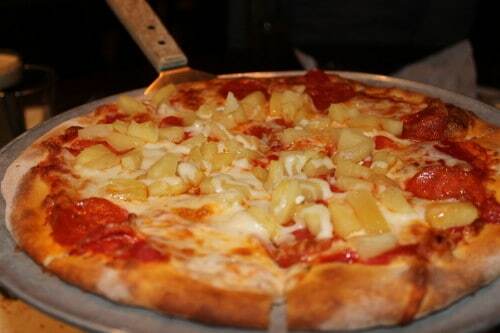 One of my favorite pizzas I’ve had, and I can’t wait to go back! 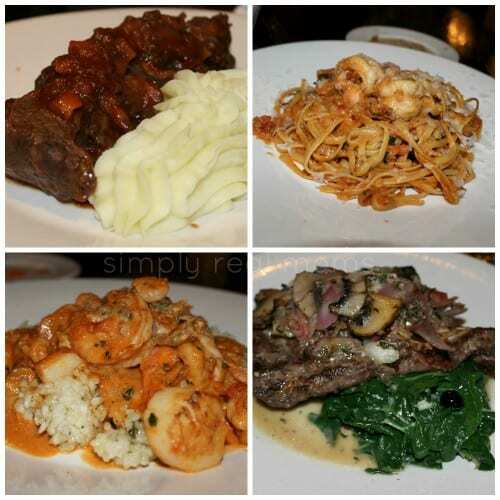 Our table also enjoyed the Rib Eye Steak, Seafood Risotto, Linguine with Prawns and Short Ribs Napolitana (probably the BEST meat dish I have ever had in my life.) My husband ordered the Short Ribs, and I only wish it had been my order! The meat is so tender, and the taste is beyond delicious. 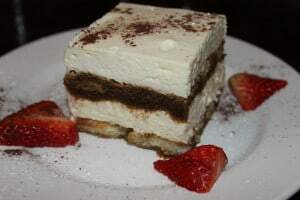 Absolutely my favorite dish at It’s Italia! We finished up with Tiramisu and the seasonal Fruit Cobbler. Both were equally scrumptious and the perfect ending to a wonderful meal! We had the privilege to check out this gem in Pescadero, just south of Half Moon Bay. 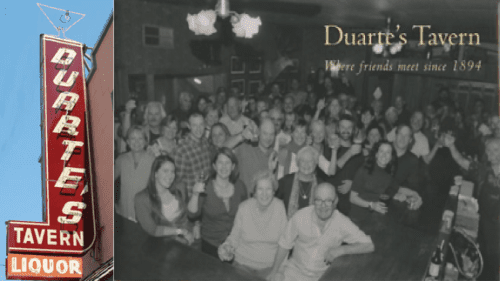 Duarte’s Tavern is a must stop if you are cruising the Northern California Coast! Founded in 1894, this cozy tavern boasts some delicious meals and a guaranteed good time with your company. Featured on Diners, Drive In’s and Dives as having some of the best Cioppino that Guy Fieri had ever had, they are also known for their Cream of Artichoke soup and delicious pies! Duarte’s Tavern is a family run restaurant where the food is all very fresh, including the vegetables grown in their very own garden out back! 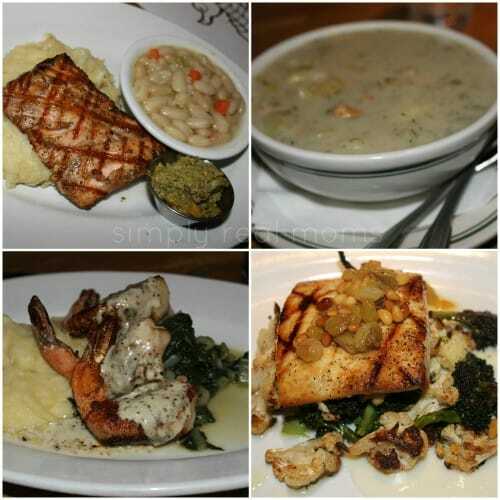 They have many seafood options on their menu, along with some diner favorites. Our table enjoyed a Crab Sandwich, Cheeseburger with grilled onions, French Dip Sandwich and one of the specials the day we were there, Corned Beef Hash. We were impressed that their kids menu included not just the usual kids favorites, but also PB&J! It’s my son’s favorite food, and what a treat it was for him to get it at a restaurant! The service was great, and there’s a real family and community feel at Duarte’s. Lots of local regulars, as well as out of towners were there eating their lunch. We finished our lunch up with a slice each of Pecan and Rhubarb Pie. The Pecan Pie was delicious with tons of pecans, and the Rhubarb Pie was perfectly tart. I’m a fan of the crust on pies, and their pie crust compliments their pies well. While walking down Main Street one morning trying to find breakfast, we happened upon a spot you won’t want to miss on your trip to Half Moon Bay. 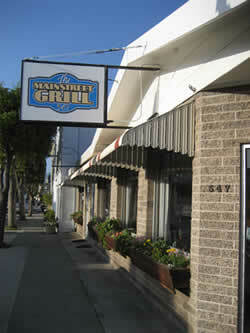 Main Street Grill is a tiny little diner that serves breakfast and lunch the way I like it. No frills, just good eats. We each enjoyed our huge breakfasts and were all stuffed afterwards, thanks to big portion sizes. My favorite part though? Bill, the owner sings along to the music that comes on as he cooks your food. I couldn’t stop myself from smiling as I ate my food, entertained by him singing along to the oldies. This is a great stop, highly recommended for a great breakfast! Half Moon Bay, California, a vibrant coastal town located approximately 40 minutes south of San Francisco, is an ideal place for families to plan a fun-filled getaway. In addition to a wide array of family-friendly accommodations and restaurants, there are plenty of entertaining and exciting hands-on activities including educational eco-hikes, hot glass classes, kayaking, horseback riding on the beach, surfing and spectacular theater productions. For more information on Half Moon Bay, visit www.visithalfmoonbay.org, download Half Moon Bay’s app iCoastside or call (650) 726-8380. Thank you to Visit Half Moon Bay, It’s Italia, Duarte’s Tavern & Sam’s Chowder House for providing our meals, all opinions are my own. DIY: Make Your Own Mega Blocks!